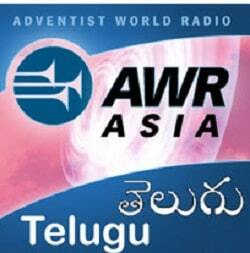 AWR Telugu Christian Radio Online Live.Listen Over 25 Telugu FM Radio Station Live Online . Listen to Telugu Gospel Music 24 by 7 Online. Address : Adventist World Radio , 12501 Old Columbia Pike , Silver Spring, Maryland 20904 , USA .